If you enjoy shopping in open markets then you are in the right place with a market in Fethiye almost every day of the week. See our day by day guide to what’s on here. 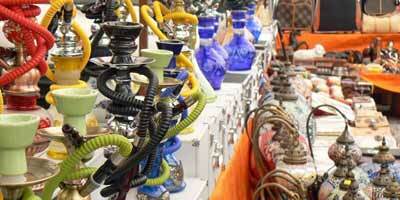 If you enjoy shopping in open markets then you are in the right place. 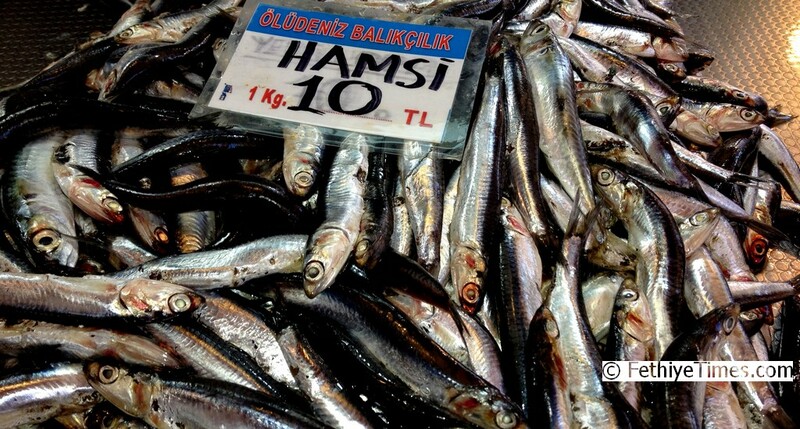 There is a market somewhere in and around Fethiye on every day of the week, some days there is even a choice. Here’s a weekly market calendar with comments, where available, on special features of individual markets. Located just past the roundabout on the edge of the village. During the off-season period the market at Hisarönü is mainly geared towards the needs of the Turkish housewife spice stalls and fruit and veg stalls together with a general grocery stall. There are 3 or 4 clothes stalls and a mobile cafeteria. In the summer though it’s a full on market with stalls to cater for the influx of visitors. OK, so you are unlikely to just pop out to this market as it is some 80 miles from Fethiye but it really is worth a special day trip. This beautiful old Ottoman town is well worth a visit and if you go on Monday the market is a bonus. The narrow streets in the old town create a lovely atmosphere. This is the big one, very tourist-oriented in summer but, out of season, a whole day can fly by as you wander around the huge area of textiles and clothing (look out for the bargain stalls where you can find fabric remnants; huge curtains, ready-sewn complete with fittings for a few TL, and cushion covers for as little as 50 kuruş). There is an area devoted to footwear, bags, household goods and that is before you even start on foodstuffs. You really should make the effort to buy your fruit and veg. 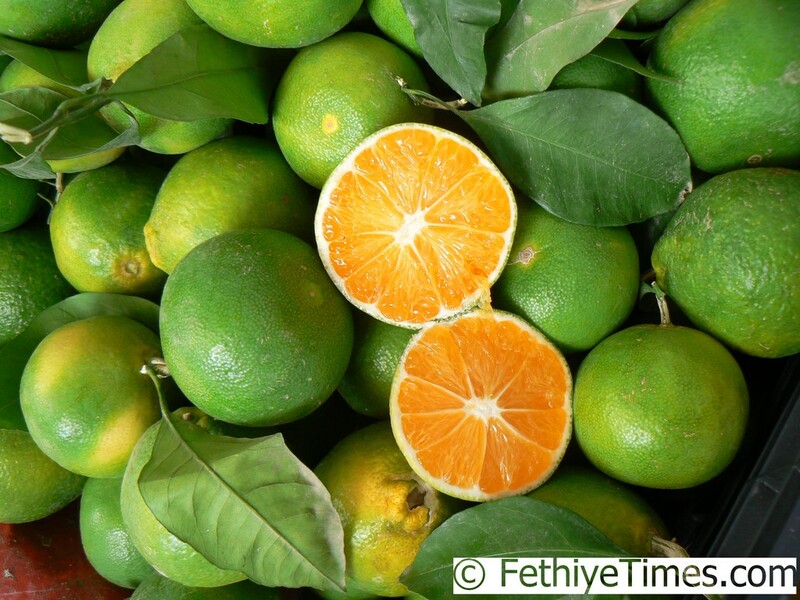 in a market – it’s cheaper and fresher than anything in the supermarkets. And this market is amply served with refreshment stalls so you can take a break for lunch and eat pancakes or kebab by the fast-flowing canal, then finish shopping in the afternoon. It may seem like the ‘sublime to the ridiculous’ but Yanıklar market is the only one we know of that takes place on a Wednesday, hence its inclusion. 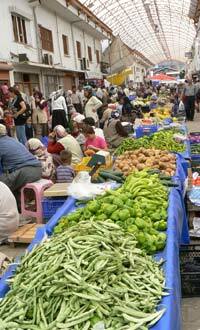 This tiny market, maximum four stalls, is held in the village of Yanıklar which is on the main road out to Dalaman. 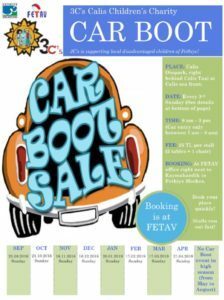 You can’t miss it as it sets up on the side of the main dual carriageway near to the new pide restuarant. A couple of fruit and veg. stalls, one selling household goods, and one with clothes. Hardly worth a special journey, but a boon for anyone living/staying in Oasis Village or passing on the way to the airport. 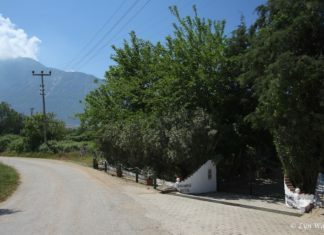 The first large village outside Fethiye going towards Dalaman has a market that is growing in size. 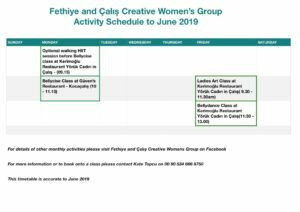 It is held in the village just off the old road so, if travelling by car, you turn off the new dual carriageway at the sign for Çiftlik – then you can’t miss it, on the right in the centre of the village. Still very much a village market (there are no stalls selling jewellery or imported Asian decorative items) it has excellent fruit and veg. stalls and good food stalls if you go around lunch time. Another one to visit as a day trip like Elmalı above, and around the same distance. In recent years Muğla has invested heavily in refurbishment of its old Ottoman buildings, so you can combine the market with viewing some traditional architecture. Back to Fethiye for the fruit and veg. market in the covered section and along the narrow road on the far side of the canal. This is more like a farmers market with trader selling their own grown/made produce rather than reselling stuff bought from the wholesalers. Prices can also be less than the Tuesday market. The road by the canal can be really interesting as you sometimes find plants for sale including veg. seedlings at very cheap prices (25 cos lettuces ready for planting for around 1TL). 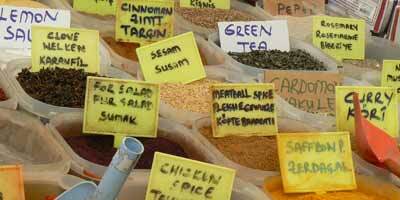 There is also a market in the lovely village of Üzümlü some 20km from Fethiye. On the edge of Fethiye. Take the Antalya road from the roundabout near the bus station and you’ll get there. This is very much a Turkish market with none of the tourist trinkets on sale. The stalls on the right-hand side of the market, beside the mosque, are mostly clothes and household hardware. On the left-hand side of the road the stalls are almost entirely for fruit and vegetables. It’s also possible to buy livestock. This is a general market held on the square on Saturdays. Often a very busy market and has almost everything you need. 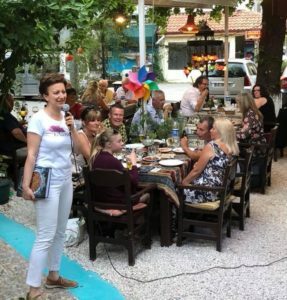 The majority of the stallholders speak some English and the market is very popular with Europeans living in the Ovacık, Taşyaka, Deliktaş and Green Valley areas. A mini version of the Günlükbaşı and Tuesday markets. 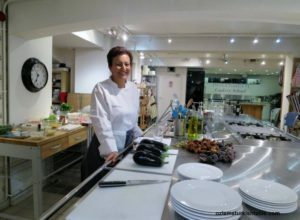 Worth a visit if you are in the area, maybe taking people to Dalaman Airport. This market is especially rich in textile stalls and very lively. 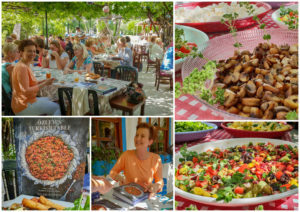 Possibly Fethiye Times’ favourite market and very popular with all resident foreigners. A fraction of the size of the main Tuesday market in Fethiye but with almost all the same stalls – bargain stalls for clothes and fabrics don’t seem to happen here, but they’ll no doubt appear in time. Again there are excellent fruit and veg. stalls, several ‘everything is 1YTL’ stalls for all those small items you didn’t realise you needed, and a large food stall section where you can eat lunch and watch the world go by. A day boat destination in the summer but the market is held all year round and actually has stalls selling plants for the garden – something missing from all the other markets listed above. A traditional village market that is held alongside the main Antalya road so you really can’t miss it. Just past the turn off to Üzümlü this market has all the usual fruit, veg., textiles and a lively corner for livestock. If you have any information about other markets, or special features we may have missed at the markets listed above, please let us know. 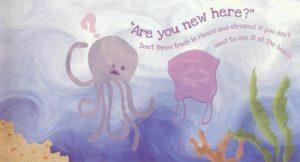 Good article, but would be more helpful if you had opening and closing times. 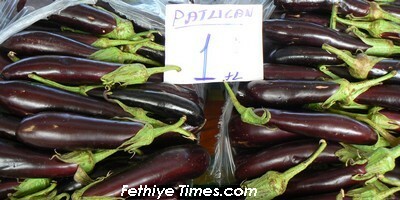 Just been to the Tuesday Fethiye produce market. Visually delicious! 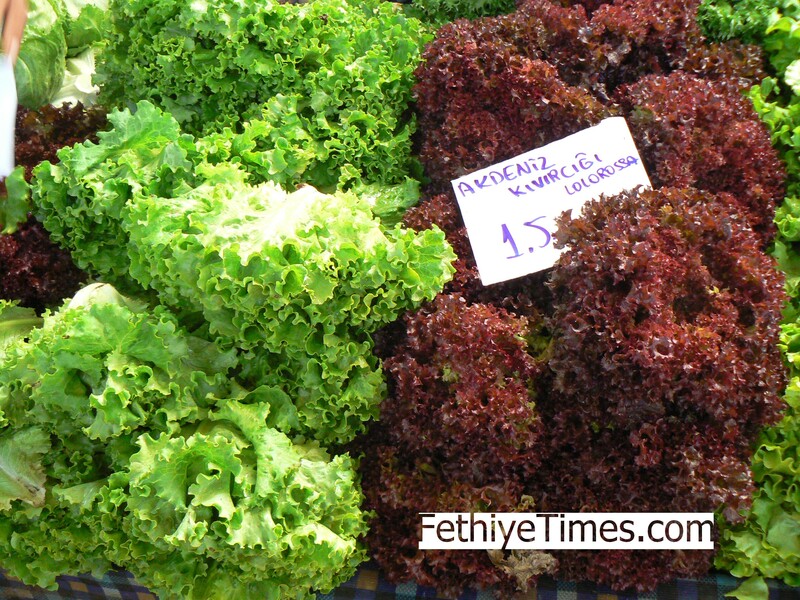 As a regular yearly visitor of this amazing country I would never be able to avoid the amazing FETHIYE Market! Yes, its a must take plenty of spare cash. Clothes are a must take minimal clothing allow an empty suitcase for all the designer logo bags shoe’s and more. Hello! Just wondering if Inlice has its own market or whether everyone just heads off to Göçek or Yanıklar? Also, what day is the market at SeydiKemer? Thanks! There is a market in Seydikemer every Friday. There isn’t any information about a market in Inlice so there is a possibility people would go to the Sunday market in Göcek or the market in Çiftlik every Thursday. 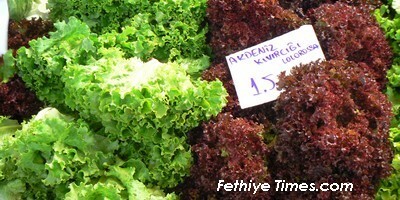 There is also the Tuesday market in Fethiye.